Frank Harbusch is secretary-general of the European Sunlight Association. Summer may be coming to a close, but tanning and UV radiation will remain on the agenda of the European Commission in the coming months. In November, the European Commission’s Scientific Committee on Health, Environmental and Emerging Risks (SCHEER) (formerly SCENIHR) is expected to provide an opinion on the potential health effects (positive and negative) of UV radiation, and in particular sunbeds, in light of new scientific evidence that has emerged since a previous assessment in 2006. The European Sunlight Association (ESA), representing the indoor tanning industry in Europe, has been closely following SCHEER’s works in the framework of our longstanding engagement with EU policy-makers to promote safe and responsible tanning. After 18 months of work, we see significant shortcomings in SCHEER’s preliminary opinion, which not only undermines the committee’s credibility but also reflects a clear bias against indoor tanning and sunbed use. Firstly, the very process for preparing the opinion raised eyebrows. Take the composition of the working group: the World Health Organisation (WHO) itself realised years ago that looking at the effects of UV on the skin only – where dermatologists have expertise – is far too narrow an angle. It is therefore incomprehensible that more photobiologists were not involved, alongside dermatologists, in drafting the preliminary opinion. Instead, SCHEER chose to involve two additional experts who are both known for their anti-UV position. A recent hearing revealed that a number of scientists with relevant backgrounds would have been eligible and keen to contribute to the work. In our view, this seriously calls into question the impartiality and independence of the committee’s work. Moreover, we cannot help but notice the one-sidedness of SCHEER’s mandate, which places an unnecessary focus on sunbeds from the outset, neglecting the much greater impact of the sun. The process for collecting scientific evidence raises further concerns in our view: among the 143 scientific studies and reports ESA shared with the working group, only 11 were considered, most of them selectively and with a clear focus on the negative effects of UV radiation. Whereas one would understand that the mandate and the composition of the working group influence the opinion’s conclusion, ESA would still have expected SCHEER to come up with a more balanced and serious report. Regrettably, it contains a large number of flaws, inaccuracies and mistakes which render its conclusions dubious, if not dangerously misleading. Particularly problematic is the fact that the preliminary conclusions are largely based on studies carried out before the entry into force of the 2007 standard. This standard puts a limit of 0.3 Watts per square metre (W/m²) on UV radiation from sunbeds (equivalent to Mediterranean sun, and not Caribbean or tropical sun as stated in the preliminary opinion). As a result, SCHEER concludes that there is no safe limit for UV irradiance without providing reasons or indeed evidence that the 0.3 W/m² limit – recommended by the very committee preceding SCHEER and adhered to by European sunbed manufacturers – is not safe anymore. 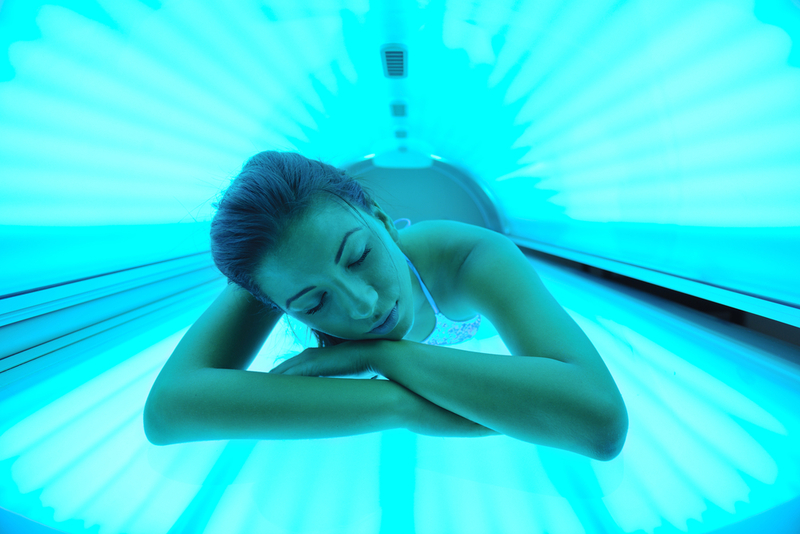 By stating that “there is no safe limit for UV irradiance from sunbeds”, SCHEER sidesteps the other questions included in its terms of reference, which would have required a thorough assessment of the risks and benefits of UV radiation for the whole body. Clearly, excessive exposure to UV radiation – whether from the sun or from a sunbed – can be detrimental. However, in yet another sign of partisanship, the draft opinion conveniently forgets to mention that what is referred to as evidence counting against sunbeds must also be applied to natural sunlight. The opinion stresses UV-emitting devices are considered a Group 1 carcinogen by the WHO. This is a fair point. But Group 1 also contains natural sunlight (relative risk increase of 61%), and processed meats (relative risk increase of 17%), while sunbeds’ relative risk is estimated at 16%. The categorisation only means an agent can cause cancer, not that it will. We also wish SCHEER’s risk assessment would not ignore the various measures taken by the indoor tanning industry to ensure safe and responsible use of sunbeds, and swift implementation of existing regulation (both at EU and national level). Most recently, the ESA introduced a new European Standard on training and service provision and developed a certification, training and labelling scheme for this new standard to facilitate its practical implementation. We believe that effective implementation of existing legislation should be the priority. Finally, we would like to recall that no study has yet demonstrated a causal link between the risk of melanoma and sunbed use. An obvious reason for that is that many primary factors affect melanoma trends, among which are family history of skin cancer; sunburn, especially at an early age; or moles. Targeting sunbeds as a primary cause of melanoma is therefore highly dubious, and we regret that improper use of sunscreens are not even mentioned as potential contributing factors to skin cancer when they may result in unprotected exposure to UV. SCHEER’s preliminary opinion is clearly imbalanced and misleading for both policymakers and the general public. ESA has already communicated its comments on the draft but its shortcomings should also warrant a critical look at the “independent scientific advice” the European Commission uses as a basis for regulation.